Your Safe Harbour, 7 Bishops Court, Daventry, Northamptonshire, NN11 4NP. Personal data is captured when you submit a contact form. We keep contact form submissions indefinitely for customer service purposes, but we do not use the information submitted through them for marketing purposes. The contact information is stored on paper and the original electronic versions are removed as soon as this data has been transferred. Data collected by therapists, during assessment sessions, is done on paper. Subsequent notes are kept to a bare minimum, again on paper. All data is then stored in a locked filing cabinet with instructions to be destroyed, sight unseen if the company ceases to trade for any reason or if anything happens to Elissa Vale. All paperwork is destroyed after a period of 6 years. 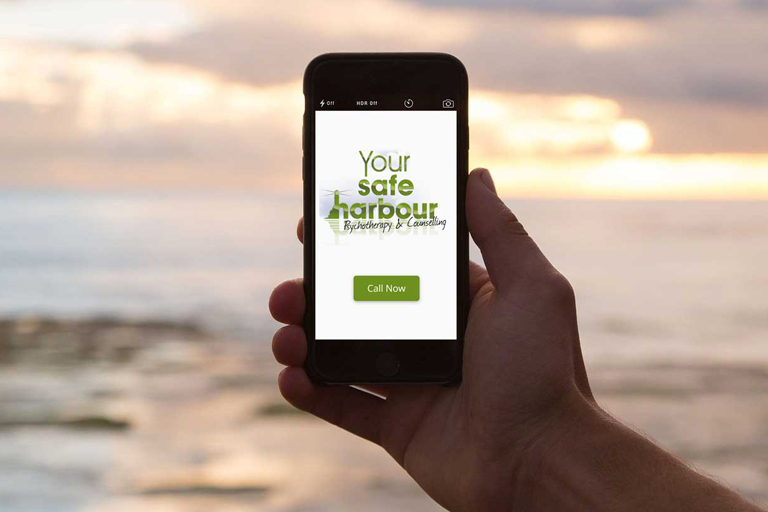 When someone visits www.yoursafeharbour.co.uk we use a third party service, Google Analytics, to collect standard internet log information and details of visitor behaviour patterns. We do this to find out things such as the number of visitors to the various parts of the site. This information is only processed in a way which does not identify anyone. We do not make, and do not allow Google to make, any attempt to find out the identities of those visiting our website. Your Safe Harbour does not share any personal data with anyone.